It’s begun! 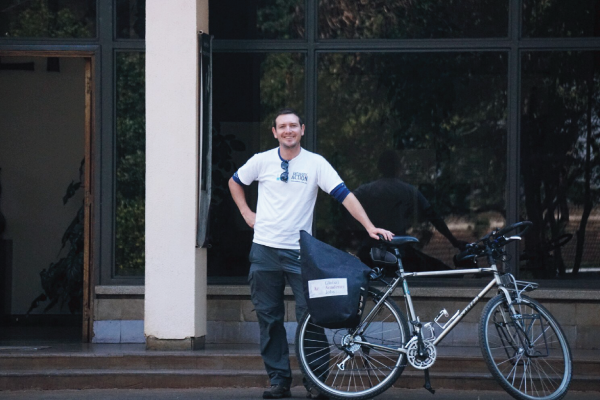 Wesley Loftie-Eaton, an international hipster postdoc, has started his six month cycle ride through six African countries in six months visiting university departments and research institutes along the way. His ambition is to raise awareness on the global issue of antibiotic resistance, and to raise funds for Antibiotic Action. Wesley started the epic trip last week with a talk at Biosciences eastern and central Africa – International Livestock Research Institute Hub (BecA-ILRI Hub). In the first of his blog series during his trip he describes the work of the institute and the wonderful facilities. You can read his full post here.